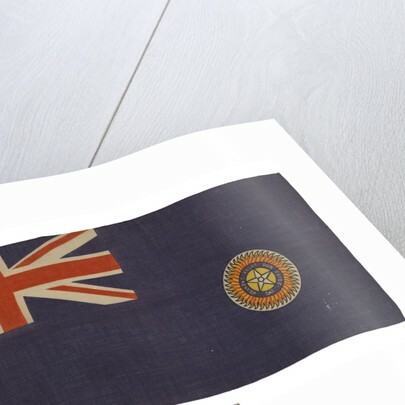 The ensign of the Royal Indian Marine. The flag is made of wool bunting with a cotton hoist. It is machine sewn at the ends, the sides are the selvedges of the fabric. 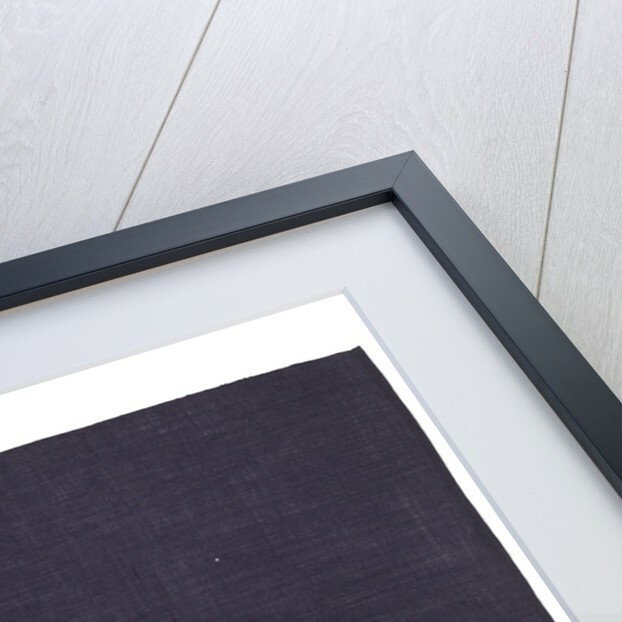 The design is entirely printed onto the surface of the fabric. A cord is attached for hoisting. Design: a blue field with a Union Flag in the canton. In the fly, a badge with a star surrounded by a band inscribed HEAVENS LIGHT OUR GUIDE' within the sun's rays. 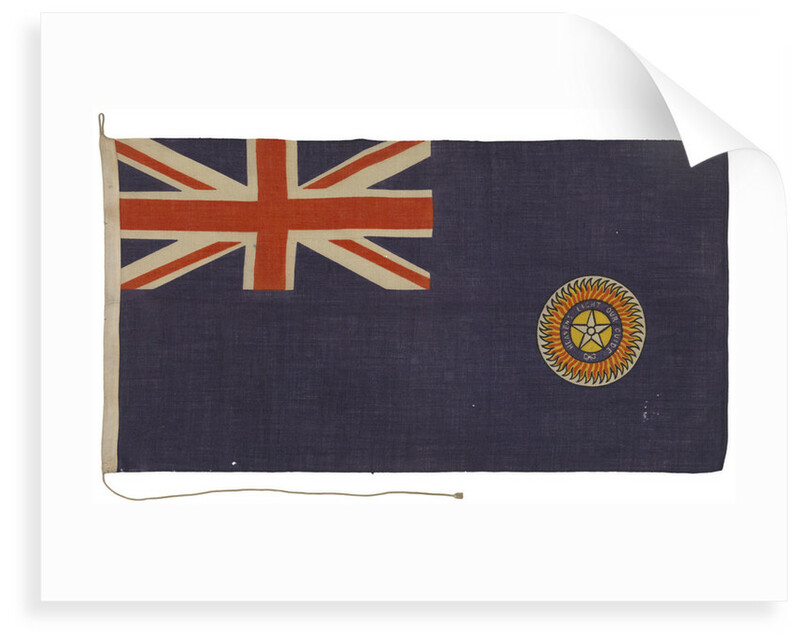 The design was warranted by the Admiralty to the Indian Marine in 1877. It was used as an ensign until 1928. From 1928-47 it was used as a jack. 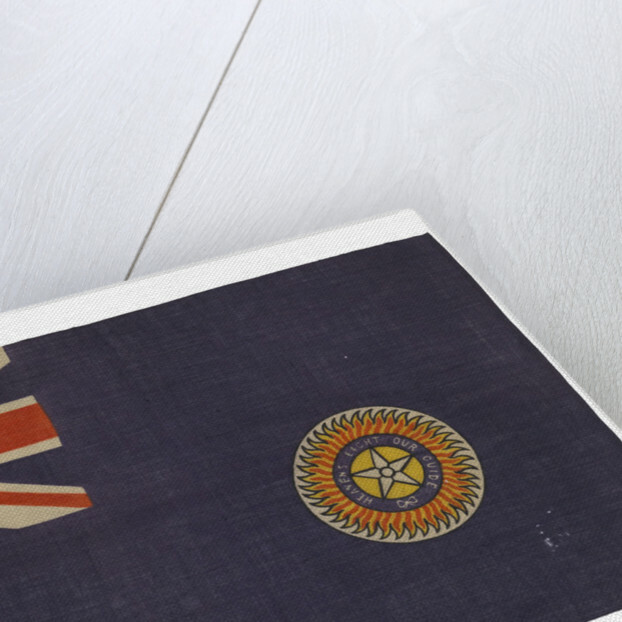 Most of the other flags acquired from the same source date from approximately the 1920's but it is not possible to be certain whether this is an ensign or a jack.